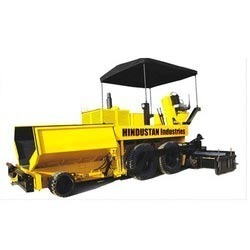 Our clients can avail from us a qualitative range of Mobile Asphalt Mixer Machines. These machines are fabricated in accordance with the required industry standards using quality materials and advanced technology. Our range is sturdily constructed and offers excellent performance even in harsh working conditions. We also customize these machines as per the clients’ requirements and offer at competitive market prices. Looking for Mobile Asphalt Plant For Premix ?